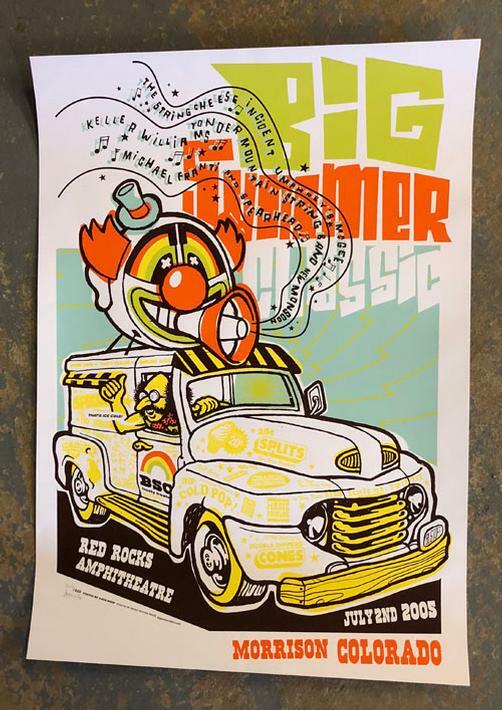 Original silkscreen concert poster for Big Summer Classic at Red Rocks in 2005. This festival featured String Cheese Incident, Keller Williams, Umphrey's McGee, New Monsoon, Michael Franti, and Yonder Mountain String Band. 17 x 24 inches. 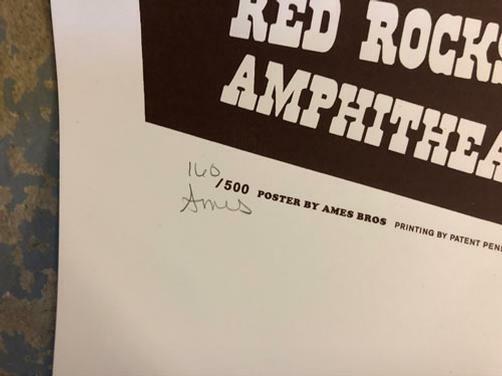 Signed and numbered 160/500 by the artist.